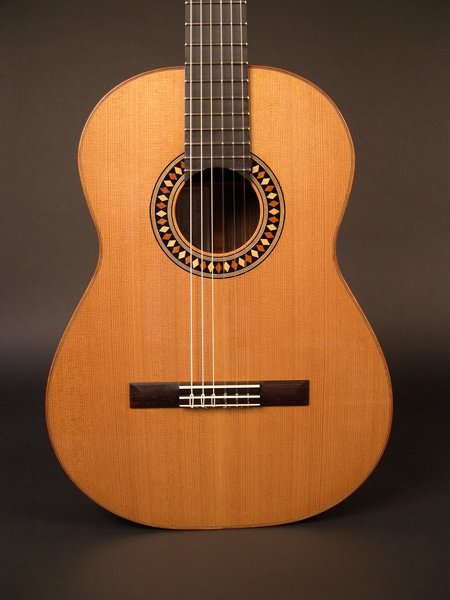 This is a guitar made for composer and guitarist Bryan Johanson. While visiting the Metropolitan Museum of Art in NYC he spied a small Renaissance guitar with this simple but striking pattern. 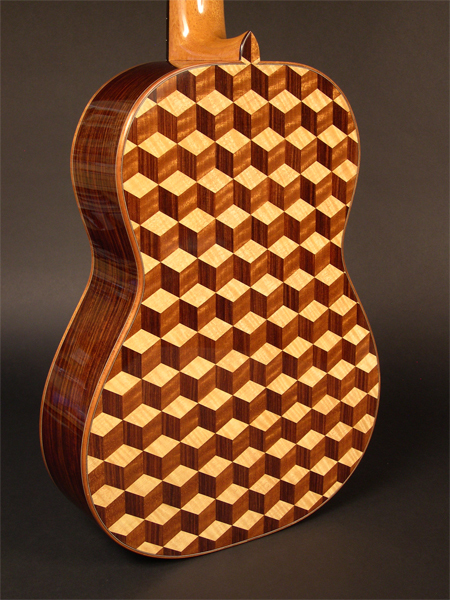 He was in the market for a cedar guitar so he gave me the opportunity to recreate something similar on the back of a contemporary guitar. The back is a balanced lamination consisting of a thin layer of East Indian rosewood on the interior, a thicker solid rosewood inner core and the exposed marquetry face of thin, precisely cut veneers of East Indian rosewood, Makore and Anigre. 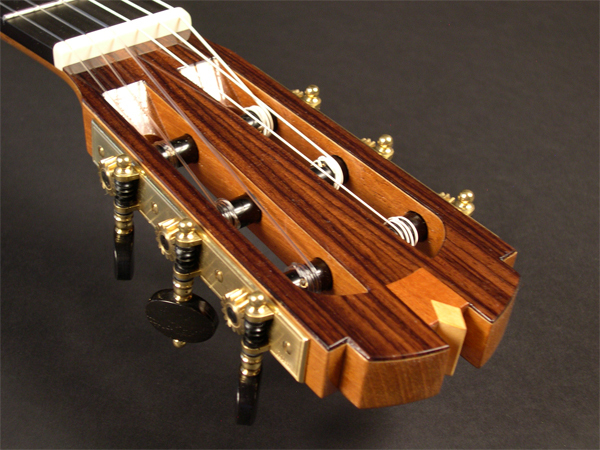 East Indian rosewood back, sides and headstock veneers.